Types of Mulch: Which one is right for you? When you think of mulch, you likely think of the red, shredded cypress or the chunky dark pine bark nuggets. Actually, mulch can be any opaque material that is used to cover bare soil around landscaping. This makes the types of mulch quite possibly endless. In addition to the shredded hardwoods, and bark nuggets that usually come to find first, there are many other materials that can be used to mulch. Other options include alternatives such as grass clippings, pine needles, straw, leaves, compost, saw dust and even rock, gravel, cocoa bean shells, plastic sheeting and rubber chips. Wow! That’s a whole lot of options! How do you know which to get? 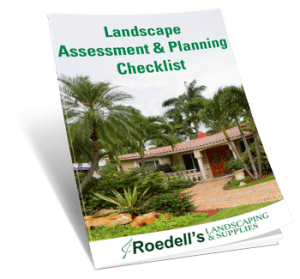 Many Orlando landscape companies can provide advice and good options for your specific landscape needs. Why Mulch In The First Place? The first thing you should know is why to mulch in the first place, then consider the environment in your own yard and seek out the option that will best serve your landscape’s needs. Different materials offer pros and cons depending on the application in which they are used. Nature creates its own mulch in the fields and forests. Fallen leaves, dead grasses and other natural materials collect on the ground. This provides a layer of organic, decomposing material that benefit plants and trees in many ways. Prevents both soil compaction and soil erosion. In our yards and gardens, where we like things neat, clean and manicured, it is still important to provide this service to our plants as mother nature intended. As well, in our landscaped areas it can provide for wonderful design accents with colors and textures and also help prevent weed growth by blocking light to weed seeds that will prevent them from germinating. Minimizing weeds is vital to growing your favorite plants and trees because they do not have to compete for water and nutrients. All of these benefits of mulching allow for far less maintenance time outside and far more enjoyment! First Things First, Organic Mulch Is Better. Organic mulch doesn’t mean materials grown using organic farming methods as one might think considering the current food trends. Organic mulch is simply any organic (living or once living) material. The advantage to using organic material is soil health and sometimes recycling natural materials that might otherwise be sent to the landfill. As organic materials decompose, they nourish the soil as well as provide a nurturing environment for beneficial insects, worms and bacteria. These can help control unwanted pests and some plant diseases. Also, be aware when purchasing that aged mulch that is already partially decomposed will improve soil nutrients and promote growth faster than fresh mulch such as pine bark. Fresh mulch will last longer, but takes longer to decompose and provide nutrients. However, it is better for areas that need more weed control because of its longer decomposition time. Different types of mulch materials provide different benefits and each has its own challenges as well. It is important to know what these are when deciding which to use. You may love the look of pine bark nuggets, but they may not be the best option for your yard depending on various factors. For example, the finer the material, the more it will mat together and may prevent water from penetrating. This is a great application in an area where you don’t want weeds such as pathways but not so good for flower beds or growing areas that need consistent water. The faster a mulch filters water through to the soil, the longer it will last. This usually tends to be a courser material. However, when using courser materials, you will need a thicker layer. This may mean a higher cost. It is important to consider all of these things along with the following when deciding which mulch is best for you. You may want to check out our helpful mulching guide. There are several types of mulch that can be made basically for free using what you already have in your yard. These include leaves, grass clippings, pine needles, wood chips and compost. These are grouped together here because they share similar qualities. All of these types of mulch breakdown quite quickly and have to be replaced often. Leaves and grass from your yard can be used to mulch basically for free, but some things to consider are the replacement intervals as well as the challenges. Leaves will mat together and should be shredded before applying. As well, leaves can be acidic and that will affect the soil. This is not optimal for all plants. Grass should be spread in thin layers and allowed to dry between applying as it will smell and rot when decomposing if wet. Pine needles hold in place well and last but they can also make your soil acidic. Wood chips are sometimes available from local tree trimmers, but they can take nitrogen from the soil and be acidic as well. Also, if the original tree had any contact with poison ivy, it can cause skin irritation and chips from walnut trees actually inhibit plant growth of many garden plants. Compost is a great DIY option because although it breaks down quickly, it adds nutrients to your soil the fastest. Compost is darker than soil so it creates a nice contrast to set off your plants. Creating your own compost may seem like a daunting task and it does take some research and trial and error, but could easily provide you with available mulch all year long. Many city and county agencies also give away compost if you haul it away. Be sure to check your local area. Shredded bark is a great, economical option and offers many types of hardwoods. It is also one of the best types of mulch to use on slopes. Some shredded barks are the byproducts of lumber production or other industries and considered environmentally friendly. You can inquire to such when purchasing. Course bark will last longer but may not look as nice as a finer option and while courser bark can float away, finer bark can compact together and inhibit watering. Bark also takes up some of the nitrogen from the soil and an added fertilizer may be necessary to maintain plant health. When considering this option, it is important to keep in mind where it will be applied and if the area is sloped or prone to holding or shedding water. Pine Bark Nuggets are much larger than shredded bark and therefore are much slower to decompose. They allow for better water penetration to soil and they will hold their color for a longer period of time. However, because of their size, they require a thicker layer than finer options. They are also harder to walk on than finer materials and they tend to float or can be washed away. For these reasons, they are not a good option for slopes. This gorgeous cocoa colored shell is a great option for lasting color and texture as its color does not fade over time. It decomposes slowly and it has a light chocolate fragrance for your garden. Its drawbacks are such that it is very light and may blow away if not watered down, however, too much water of low lying areas can cause a layer of mold. They are also poisonous to dogs and cats. By far the longest lasting type of mulch, rock or types of gravel are good in areas that need stabilizing, they can migrate however on slopes and in open areas so it is best to use a fabric below them. This also keeps them from sinking into the soil, helps prevent weeds and makes it easier if you ever want to move or change your mulch. 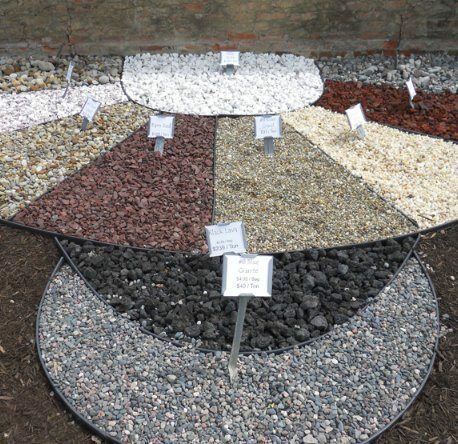 There are many sizes, textures and color options of rock and gravel. Because they are not organic, they provide only trace nutrients to the soil. These are recommended for cooler, contained areas where replanting is not an issue. Rock can get very hot in the sun and harm shallow roots. As you can see, the types of mulch vary greatly. There are many different options for different areas and applications. It is a great idea when planning to mulch, replant or redesign your landscape, to draw out your design and list the elements that you have in mind. This is a great tool to take to your local expert for further advice. You can also figure out how much mulch or rock you may need for your project by using our handy mulch calculator. 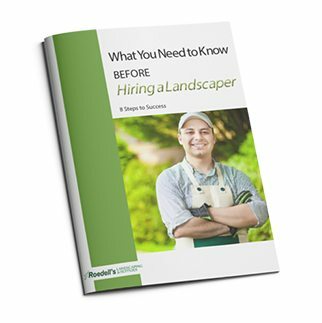 Hopefully armed with the knowledge here, you will have a bit of a head start on your mulching journey. Learn What Questions to Ask • What To Look Out For • How the Process Works & More! Hardscaping your yard not only adds value to your home, but just as importantly, it can help you create a year-round at-home retreat here in Central Florida. 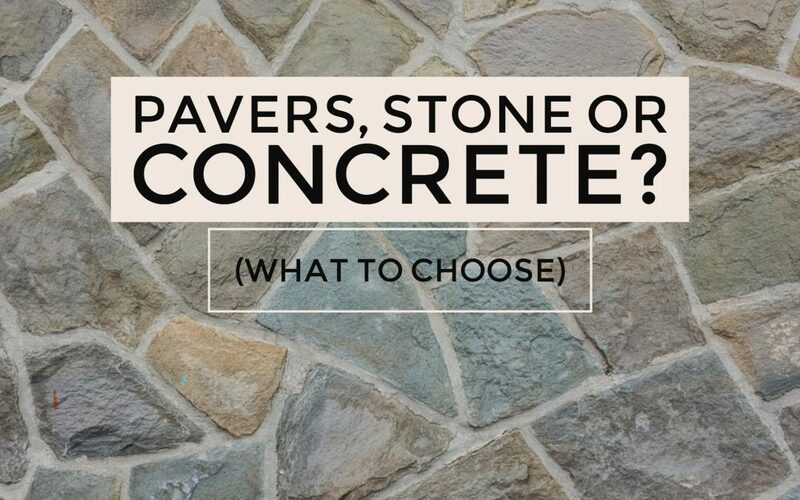 And deciding what to use in your hardscaping projects is one of the decisions you’ll need to make. Read on to learn about some of the pros (and cons) of various materials. 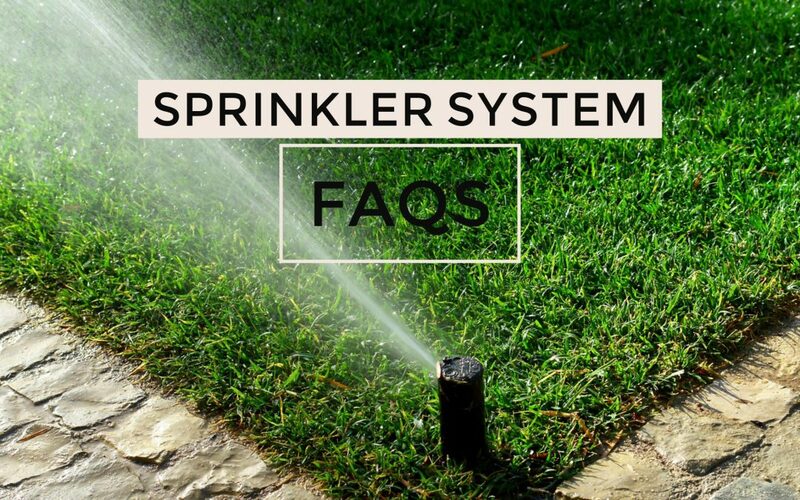 Many Florida residents already know the value of a sprinkler system, and if you’re not one of them, our sprinkler system FAQs can help educate you on commonly asked questions. In our last post, we talked about common varieties of sprinkler systems. If you’re new to sprinkler systems, that article will provide an overview on the types of systems that are most commonly used. Next, I invite you to read about the most common questions I encounter when installing systems. If you can’t find the answer you’re looking for, feel free to contact me with additional questions, and I’ll try to help you. It’s fair to say that prices start at around $2,000-$2,500. The average installed price is probably about $3,000-4,500. You really need to start off by getting an estimate. And when you do, make sure that you find out the name of the manufacturer of the system so that you are comparing apples to apples. 2. What’s a sprinkler system comprised of? 3. How long does a system installation take? Usually, it takes 1-2 days to install a typical sprinkler system. 4. How do you determine the number of zones needed for a sprinkler system? 5. Is maintaining a sprinkler system hard? Sprinkler system maintenance isn’t hard if you know what you’re doing. We’re happy to walk you through your maintenance steps or we can come out pre- and post-season to handle the maintenance for you. The City of Tampa has a great half-hour video on maintenance here. To winterize, we recommend having your system “blown out,” which removes water from the lines. 6. Will I save money by installing a system? You can save up to 50 percent on your water bill if you’ve been irrigating by hand. Your savings will just depend on how frequently you water now and how effectively. You can save up to 100 percent of your time, too! 7. Is DIY installation recommended? If you’re installing something simple, like a soaker hose, then, by all means, do that yourself! Installation of an underground system requires knowledge of plumbing and electrical. You’ll also need to figure out how much water you’ll need to apply to each zone and when. Doing it yourself can save you about half of what it would cost to have the system installed, with the caveat that you’ll need to figure out how to adjust your settings for maximum effectiveness. 8. As far as professional installation is concerned, what is the licensing requirement in the state of Florida? Understanding the benefits of mulching, how much mulch to buy and then learning how to mulch correctly isn’t hard with a little instruction. We’ll briefly discuss what mulch is comprised of, the benefits of mulching, offer some tips for making your project a success and then show you how to calculate how much mulch to buy.